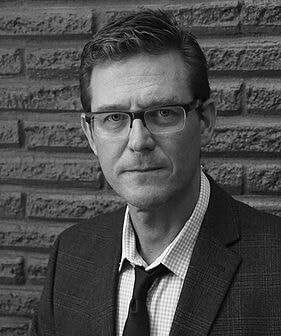 ​As a young reader inspired by Star Wars, the Muppets, Abbott & Costello, and movie-monster books, it is easy to understand that Chris Barton’s path to being a successful author would lead him to the genre of children’s books. Among his many titles are SHARK Vs TRAIN, THE DAY-GLO BROTHERS, and his latest, MIGHTY TRUCK: MUDDYMANIA. Although he graduated from the University of Texas with a degree in history, he pursued his desire to be part of the writing community by being a staff member of The Daily Texan. His love of writing turned to a vocation when his toddler son urged him to retell a simple explanation of how something worked. Eventually that led to his first book on the invention of Day-Glo, a fluorescent coloring agent. One of his proudest accomplishments is helping BookPeople develop “Modern First Library”, a program that encourages diversification in the selection of books purchased for young readers. Chris resides in Austin with fellow Evening with the Author Jennifer Ziegler, four children, and pet dog Ernie. When not busy writing or researching, he enjoys cooking, improving his Spanish skills and going on long walks. ​Ricky Bush combined his love for the blues and mystery in three novels featuring the adventure of bluesmen Mitty Anderson and Pete Bolden. This series included RIVER BOTTOM BLUES, THE DEVIL’S BLUES, and HOWLING MOUNTAIN BLUES. However his latest book, THE OAXACAN KID, is a crime novel with a new protagonist. The blues have been an important part of his adult life. His articles on blues musicians have been published in magazines such as Blues Access, Southwest Blues, and American Harmonica Newsmagazine. He also writes record reviews and follows stories of local blues legends on his blog. After spending many years as a high school teacher of journalism, world geography, and English, he now spends his time in his self-built log home in rural Texas where he raised his family with his wife, Virginia. He loves to practice his craft by blowing the blues on his harmonica. ​A graduate of Texas A & M University and the University of Texas School of Law, Blomerth practiced law before being appointed judge of Texas District 421 in 2004. He remained in that position until his retirement in 2016. Blomerth displayed his love of military history when he began writing articles for the two Caldwell County weekly papers, the Lockhart Post-Register and the Luling Newsboy and Signal. He wrote series on Iwo Jima, the Korean Conflict, and campaigns in the Civil War. When approached with the idea of writing stories of those who gave their lives in World War II, he embarked on a two year project writing the stories of over 80 veterans. After a year of editing that series was put into final book form, THEY GAVE THEIR ALL, published in 2016. Judge Blomerth lives here in Lockhart with his wife Patti where he enjoys painting, traveling, and working on a new novel set on the Texas border. They have recently been blessed with their first grandchild. Tam Francis writes historical romantic fiction that she calls vintage chick-lit, with a cocktail in one hand and a pen in the other. A gal who has taught swing dancing for fifteen years, she also collects vintage sewing patterns, retro clothing, and antiques. Although she began her career as a poet, she expanded to short story and feature writing, eventually leading to her first novel, THE GIRL IN THE JITTERBUG DRESS. This success was followed by THE GIRL IN THE JITTERBIG DRESS HOPS THE ATLANTIC, and GHOSTERIA: VINTAGE ROMANTIC TALES OF FRIGHT. After attending the University of Arizona she married and settled in San Diego where her two children were born. A Lockhart native for the past six years, she resides in a 1908 home, perhaps “haunted”, where she is active in the community theater and directs the summer camp for young actors. She is putting finishing touches on a short story collection and the last installment in the Jitterbug Dress series. ​“Loose brained monsters, purple aliens, smelly gnarlies, and all other lovably flawed rejects are my kind of people.” Keith Graves brings these characters to life in his books with titles like FRANK WAS A MONTER THAT WANTD TO DANCE, DOWN IN THE DUMPS WITH THREE NASTY NARLIES, and THE UNEXPECTEDLY BAD HAIR DAY OF BARCELONA SMITH. This author, illustrator, and founding member of a rock band lives in Austin with his wife Nancy and twins Max and Emma. DAs a young girl who wanted to be a Jedi and read books on fantasy, science fiction, and mythology, Tricia Hoover was destined to be a writer. It was her ability in math that led her to a Computer Engineering degree at Virginia Tech, her love of archaeology that led to a degree in History, and finally a plan for a secure future that resulted in her final Masters in Electrical Engineering. She compares her career in designing computer chips to that of writing: both require discipline and organization, creativity, testing and editing. Among her book titles that appeal to middle school students are SOLSTICE, TUT, THE STORY OF MY IMMORTAL LIFE, and TUT, MY EPIC BATTLE TO SAVE THE WORLD. She is a member of “Texas Sweethearts and Scoundrels”, a group of young women who promote young-adult fiction. She lives in Austin with her husband and two children and two tortoises, King Tort and Nefertorti, who can live to be over 150 years old. ​A member of the Texas Institute of Letters and a Fellow of the Texas State Historical Society, Haley is a talented author that brings history to life. 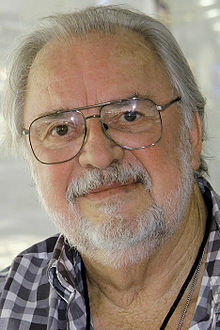 Many of his early non-fiction books covered the history of Texas and the American West, for which he won the Western Writers of America Spur Award twice. A native of Fort Worth, he graduated from the University of Texas at Arlington and attended UT Austin School of Law before turning to a career in writing. Acting on the advice of his literary agent, James Hornfischer (also an EWA guest author this year), Haley submitted an outline and preliminary chapters for a naval adventure series under consideration at G.P Putman’s Sons. THE SHORES OF TRIPOLI, the first novel in the series, follows the exploits of naval midshipman Lieutenant Bliven Putman as he pursues Barbary pirates throughout the Mediterranean. In the second of the series, A DARKER SEA, which is due out in November, Commander Putnam is at the center of a building conflict between the United States and Britain. ​McNeal’s first novel, PLUM CREEK, is a Texas historical tale that tells the story of a young man on a quest to rescue a fourteen-year-old girl from a notorious murderer with the help of legendary Texas Ranger Jack Hays. The story is set in a post-Civil War era where renegade Comanches still roamed Central Texas. As a sixth-generation Texan, McNeal lives on the ranch that has been in his family since 1850. The original deed remains locked up in a desk that belonged to his great grandfather. He attended the University of Texas and had a career as a trial lawyer, but always retained his love of the history of early settlers and Texas Rangers. ​​A master in the genre of historical novels, Pipkin has written two masterpieces. The first, WOODSBURNER, was named one of the best books of 2009 by the Washington Post and the San Francisco Chronicle. It won the Massachusetts Book Award for Fiction and the Steven Turner Award for First Fiction from The Texas Institute of Letters. John Pipkin received his Ph.D. in British Literature from Rice University. After he moved to Austin he served as the Executive Director of the Writer’s League of Texas. He is currently the Writer-in-Residence at Southwestern University where he teaches literature and creative writing. To continue his research he has received writing fellowships from the Harry Ransom Center, the Dobie Paisano Fellowship Program, and the MacDowell Colony. He resides in Austin with his wife and son. 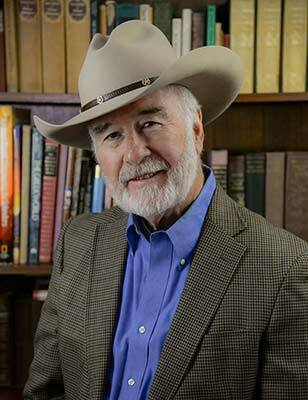 An award-winning screenwriter, author, and photographer, Bill Wittliff is an authority on all things Texas. After studying journalism at the University of Texas he began his literary career while working at a publishing house in Dallas. In 1964 he and his wife Sally founded Encino Press, a book publishing company that specialized in material about Texas and the Southwest. Known to many as a screenwriter for such classics as Lonesome Dove, The Perfect Storm, Country, and Barbarosa, he has authored his first two novels in a trilogy that is a tale of a runaway in the 1880’s Texas hill country. THE DEVIL’S BACKBONE and THE DEVIL’S SINKHOLE are available through The University of Texas Press. Over the last thirty years Wittliff has founded the Southwest Writer’s Collection featuring works by Texas authors and songwriters and the Wittliff Collection of Southwestern and Mexican Photography. Now known as the Wittliff Collection and housed at the Alkek Library of Texas State University, it is an extensive archive of materials that includes the papers of writer Cormac McCarthy and an exhibit of items from Lonesome Dove. 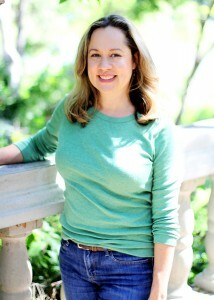 ​Jennifer Ziegler’s books written for young adults are set in Texas, where she was raised during most of her childhood. As a sixth grade student she was filling up spiral notebooks with short stories, doodles, and dress designs. After obtaining degrees in both Journalism and English, she realized that her future career would be in writing. 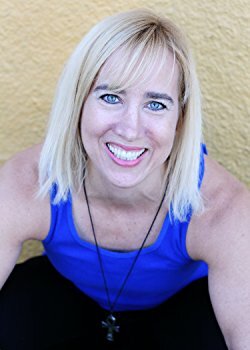 She is the author of many books the most recent being a series based on triplets titled REVENGE OF THE FLOWER GIRLS, REVENGE OF THE ANGELS, and REVENGE OF THE HAPPY CAMPERS. The characters in her books contain fragments of her personality, anything from daydreaming, making bad puns, listening to her irreverent inner voice, and attempting to avoid conflict. She lives in Austin with her husband, Chris Barton, also a guest author here this year, with four children (three sons and a daughter that does not like to wear matching socks.) When not writing or participating in writer’s workshops she enjoys long walks, yoga, camping, and time for daydreaming. 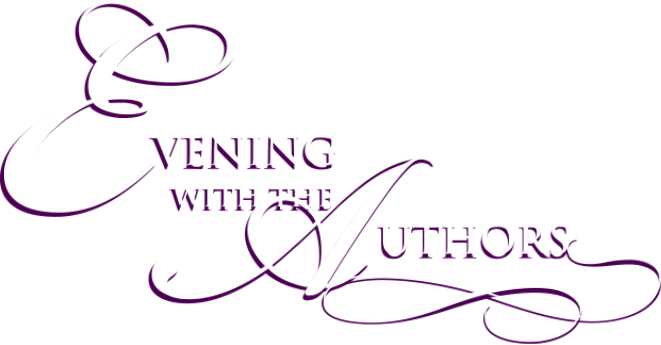 This is her second time as a featured author at Evening with the Authors.